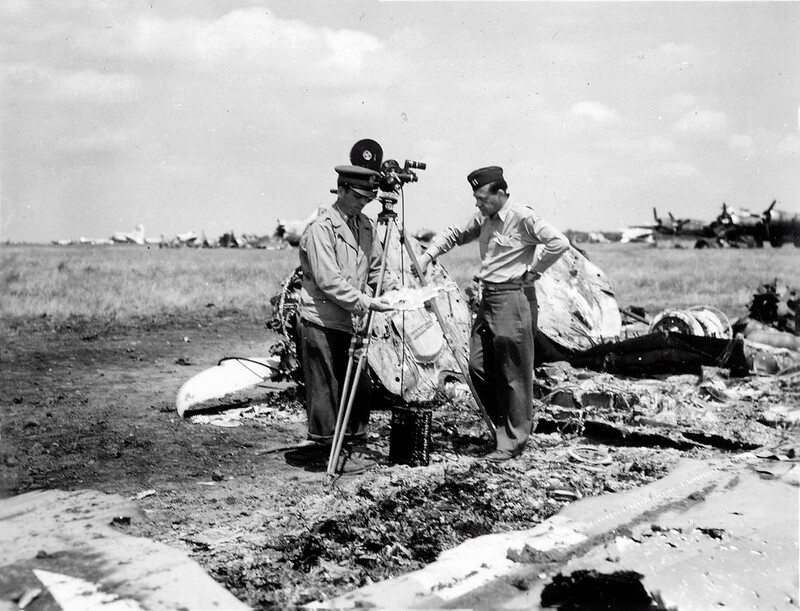 The American cameraman at the airfield near Poltava among the wreckage of the plane – the consequences of the German air raid on the night of July 22, 1944. In the background are the surviving, destroyed and burned American Boeing B-17 Flying Fortress bombers. Operation Frantic.